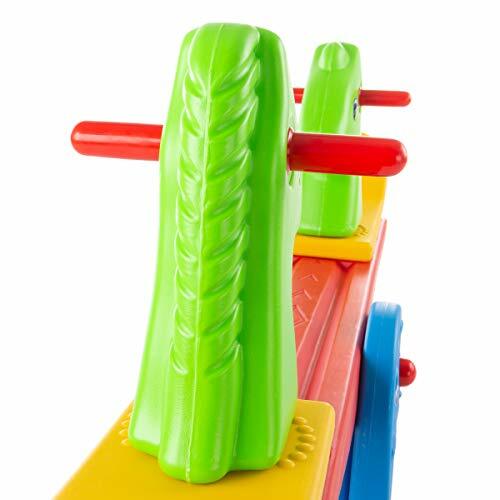 your little ones will have fun, rain or shine, With the indoor and outdoor seesaw by Hey! Play! 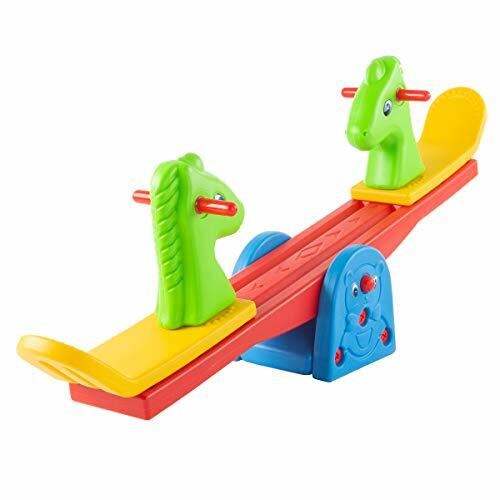 This teeter totter is made of durable, high-density polyethylene. This makes it strong enough to handle daily play and to stand up to almost any weather conditions, So it will last for years to come. The seats feature raised ends to keep children from sliding backwards and easy-grip handles to keep them safe as they play. 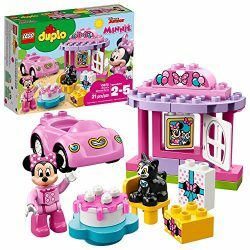 The bright colors and fun animal shapes will encourage boys and girls to play, and the up-and-down mechanics help develop balance and coordination. 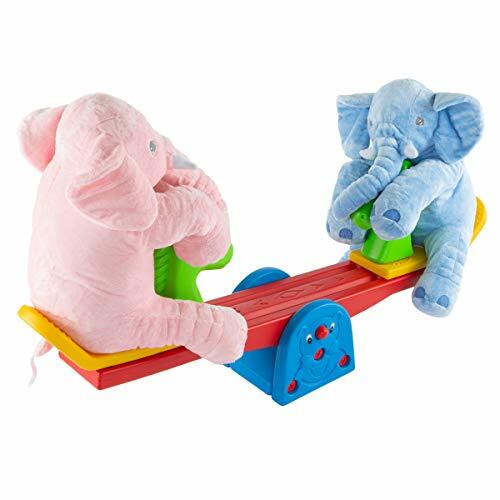 It will also teach children how to work with others to use the teeter totter. 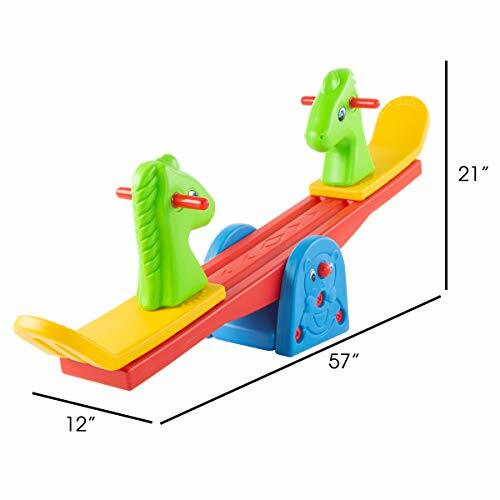 This seesaw is sized just right to be a great addition to an outdoor playground or inside a playroom or daycare center. The lightweight and compact design makes it easy to move around so kids can play anywhere. 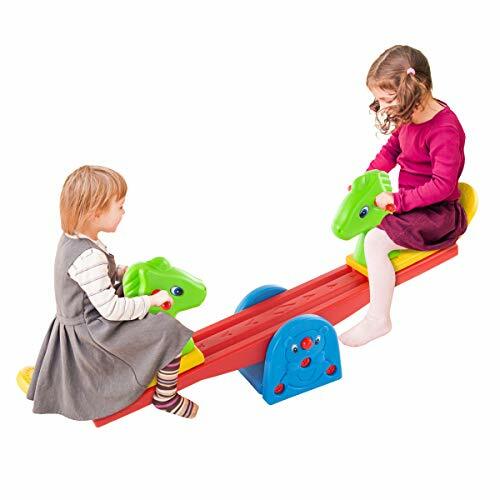 Indoor or outdoor play- this teeter totter is sized perfectly to be a great addition to any outdoor playground or inside a playroom. 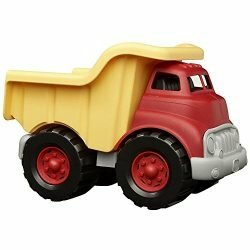 The compact and lightweight design makes it easy to move from place to place so little ones can have fun rain or shine. 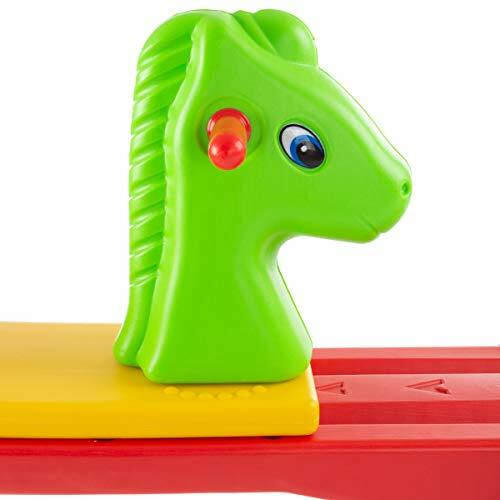 Fun and educational- not only will the bright colors and fun animal shapes encourage children to play, the seesaw will help them develop their sense of balance and coordination. 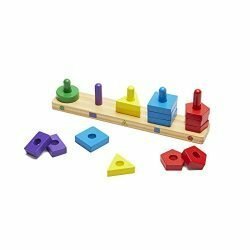 It also teaches teamwork as they play with others to work the seesaw. Raised seats for safety- The ends of the bench seat feature an upward curved design. 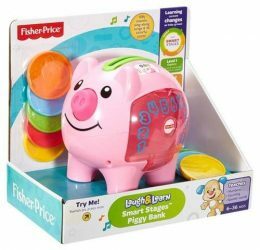 This helps keep little ones from sliding backwards as they play, keeping them safely in place while they have fun. There are also easy-grip handles for added safety. 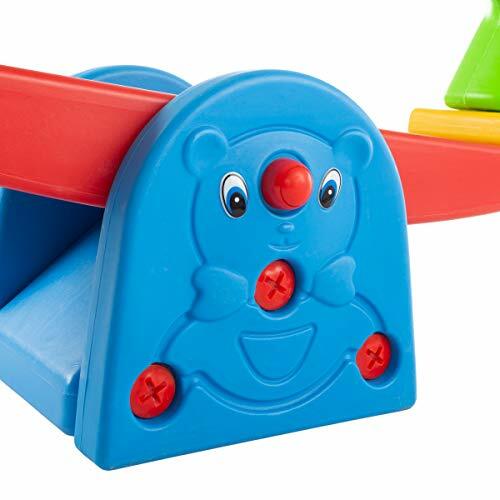 Durable materials- this teeter totter is made of durable, high-density polyethylene. 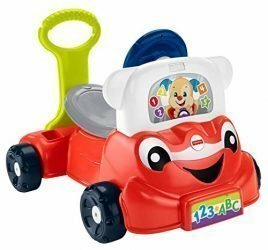 This makes it strong enough to stand up to daily play in almost any weather condition outside as well as holding up in playrooms and daycare centers. 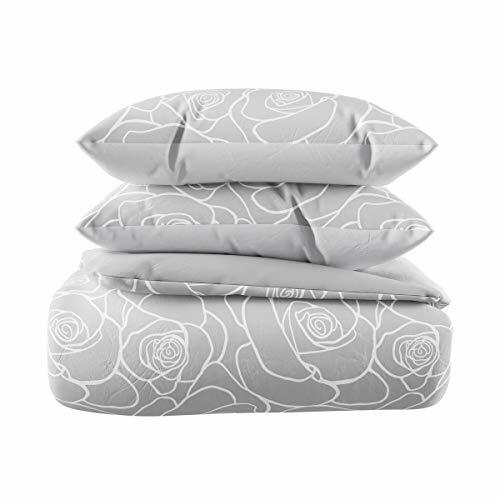 Product details- Materials: High density polyethylene. 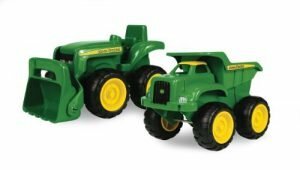 Dimensions: 57″ L x 12″ W x 21″ H. Maximum weight limit: 110 pounds (up to 55 pounds per child).